A Malaysian company has borrowed US$122mn from a group of European development financial institutions (DFI) to construct towers for the Myanmar telecoms sector. Dutch development bank FMO arranged the finance, which was syndicated among a group of other DFIs in the form of a US$109mn eight-year loan and a US$13mn nine-year subordinated loan. The senior loan was syndicated to DEG of Germany, France’s Proparco, the UK’s CDC Group, the Belgian Investment Company for Developing Countries and OeEb of Austria. Irrawaddy Green Towers (IGT) is the borrower and it plans to build a network of 2,000 towers, which will bring mobile services to 14 million people. 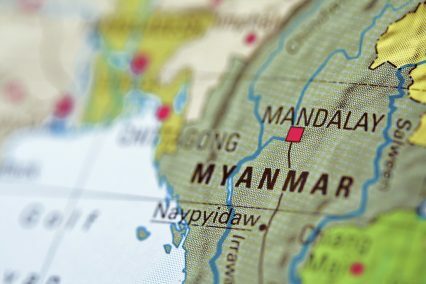 The telecoms sector has been the most vibrant since Myanmar’s partial opening up to foreign investors, with a number of high-profile deals having been struck in recent years. However, the fact that there are no commercial banks on the latest deals suggests that they may be continuing to act cautiously towards Myanmar, amid confusion over ownership of assets which could result in banks lending to sanctioned individuals. As this magazine reported late in 2015, US banks in particular completely halted trade finance operations into Myanmar for these reasons. A spokesperson for FMO tells GTR that the lack of commercial investment is likely down to the under-development of the market. FMO says it hopes to be involved in infrastructure projects in Myanmar going forward, and is looking at the areas of port development, energy and especially renewable energy, as well as agribusiness.